a burning building. Hey, Red. 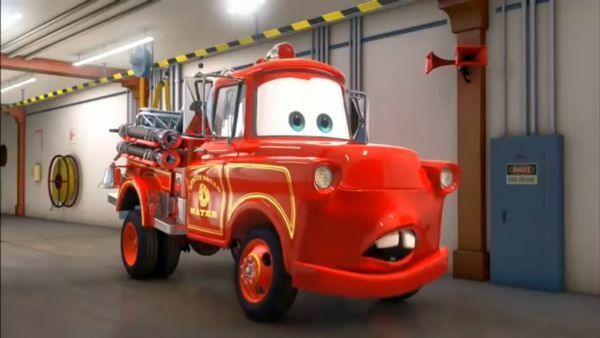 I used to be a fire truck. What? Dad gum right. Fire! 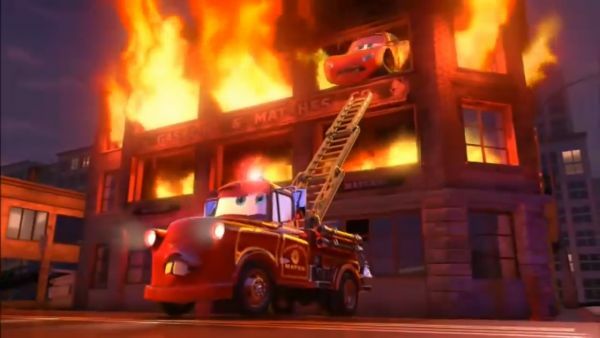 Someone call Rescue Squad Mater! All units, all units! Please respond. Fire in progress at one-two-zero-niner Car Michael Way. That's the old Gasoline and Match Factory! Right you are, Mater. Now go! Chopper One en route. Trooper responding. Where's Mater? Right behind you! Mater One en route. All right, back it up, folks. Put it in reverse, pal. Make room for Mater. Be advised, explosive situation. 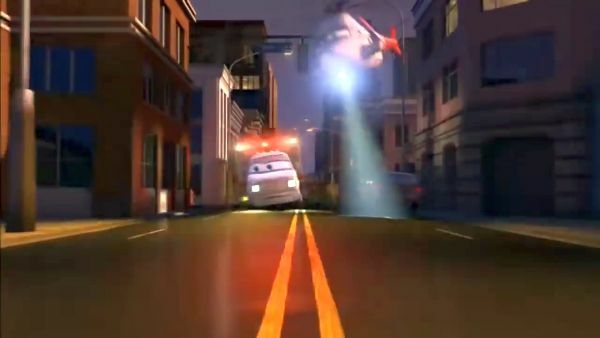 Rescue Squad Mater, we're counting on you! 10-4! I'm on it. 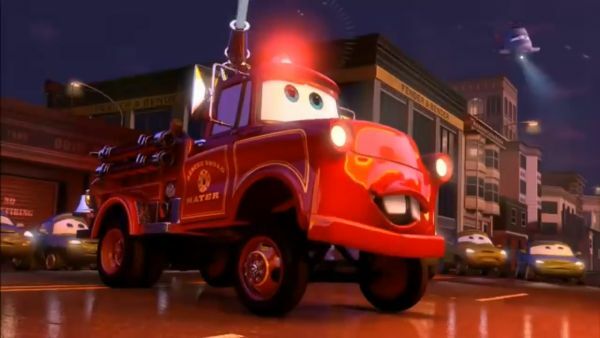 Mater, I cannot believe that you were a fire truck. You remember, for Pete's sake. You was there, too! Help! Help! Remain calm! I gotcha! Look out, it's gonna blow! Get him to the hospital! Stat! He's overheating. On my way! Yeah, baby! Paging Dr Mater. Dr Mater to the OR. What's going on, ladies? All rightly now, let's have us a little look-see. 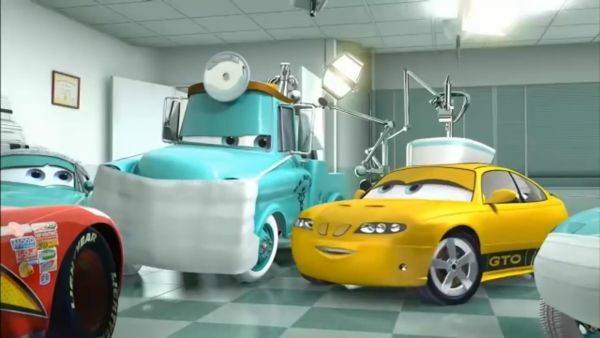 Mater, you're a doctor, too? That's right, buddy. I got my MD, my PhD, my STP, and my GTO. Hey, Doctor. Clear! Well, what happened? I saved your life. What? No, you didn't. Did so. Did not. Did so. No, Mater... Yes, I did. Yep. 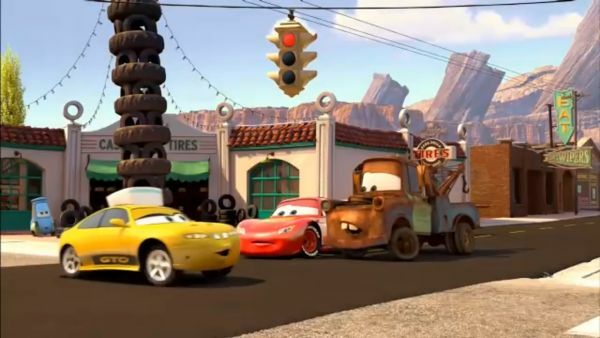 Mater, stop it! Did so. Not! Did not. Hello, Doctor. Did so.